Imprev is providing Giveback Homes with a free marketing center that will serve as a member benefit to all real estate agents and brokers who join the cause. Automated real estate marketing company Imprev has opened its doors to a new marketing center designated for Giveback Homes, an altruistic organization dedicated to social responsibility. “As part of Imprev’s philanthropic efforts, we’re not charging Giveback Homes for their marketing center,” said Imprev marketing manager Meghan Cheeney in a statement. 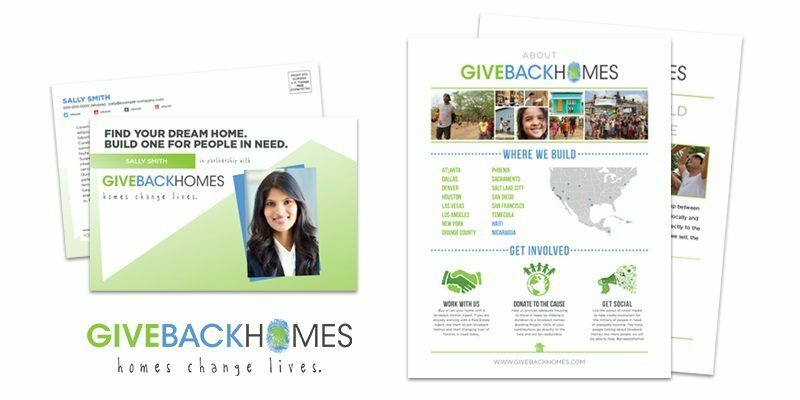 As a community of real estate professionals, Giveback Homes appreciates the value of great marketing materials, and the organization is thrilled to have new tools that will make it easier to spread the word about its homebuilding projects across the U.S. and in Nicaragua, El Salvador and Haiti. Through the marketing center, agent and broker participants will be able to create both digital and print materials and share their Giveback Homes affiliation with the community. “We are a team of three serving hundreds of real estate agents and brokers throughout the country,” said Caroline Pinal, co-founder of Giveback Homes in a press release. “Our new Marketing Center powered by Imprev lets our growing membership base easily access the materials they need to share their commitment to social good. The marketing center is a step in a new direction for Imprev, and CEO Renwick Congdon is happy to help: “Agents and brokers we talked with were enthusiastic in their support of Giveback Homes, explaining how it gave them an effective way to help change lives through homeownership — something they believe in passionately,” said Congdon in a statement. Imprev provides marketing services to hundreds of brokerages and franchises representing 20 percent of agents in North America, according to the company.